Two key climate change indicators -- global surface temperatures and Arctic sea ice extent -- have broken numerous records through the first half of 2016, according to NASA analyses of ground-based observations and satellite data. Each of the first six months of 2016 set a record as the warmest respective month globally in the modern temperature record, which dates to 1880, according to scientists at NASA's Goddard Institute for Space Studies (GISS) in New York. 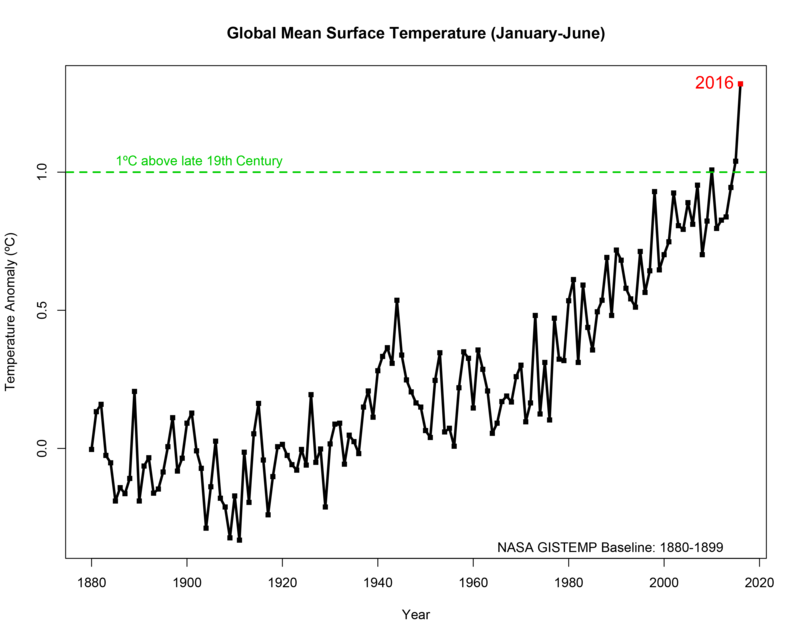 The six-month period from January to June was also the planet's warmest half-year on record, with an average temperature 1.3 degrees Celsius (2.4 degrees Fahrenheit) warmer than the late nineteenth century. Five of the first six months of 2016 also set records for the smallest respective monthly Arctic sea ice extent since consistent satellite records began in 1979, according to analyses developed by scientists at NASA's Goddard Space Flight Center, in Greenbelt, Maryland. The one exception, March, recorded the second smallest extent for that month. While these two key climate indicators have broken records in 2016, NASA scientists said it is more significant that global temperature and Arctic sea ice are continuing their decades-long trends of change. Both trends are ultimately driven by rising concentrations of heat-trapping carbon dioxide and other greenhouse gases in the atmosphere. Chunks of sea ice, melt ponds and open water are all seen in this image captured at an altitude of 1,500 feet by the NASA's Digital Mapping System instrument during an Operation IceBridge flight over the Chukchi Sea on Saturday, July 16, 2016. The first six months of 2016 were the warmest six-month period in NASA's modern temperature record, which dates to 1880. "It has been a record year so far for global temperatures, but the record high temperatures in the Arctic over the past six months have been even more extreme," Meier said. "This warmth as well as unusual weather patterns have led to the record low sea ice extents so far this year." NASA's long-running Operation IceBridge campaign last week began a series of airborne measurements of melt ponds on the surface of the Arctic sea ice cap. Melt ponds are shallow pools of water that form as ice melts. Their darker surface can absorb more sunlight and accelerate the melting process. IceBridge is flying out of Barrow, Alaska, during sea ice melt season to capture melt pond observations at a scale never before achieved. Recent studies have found that the formation of melt ponds early in the summer is a good predictor of the yearly minimum sea ice extent in September. 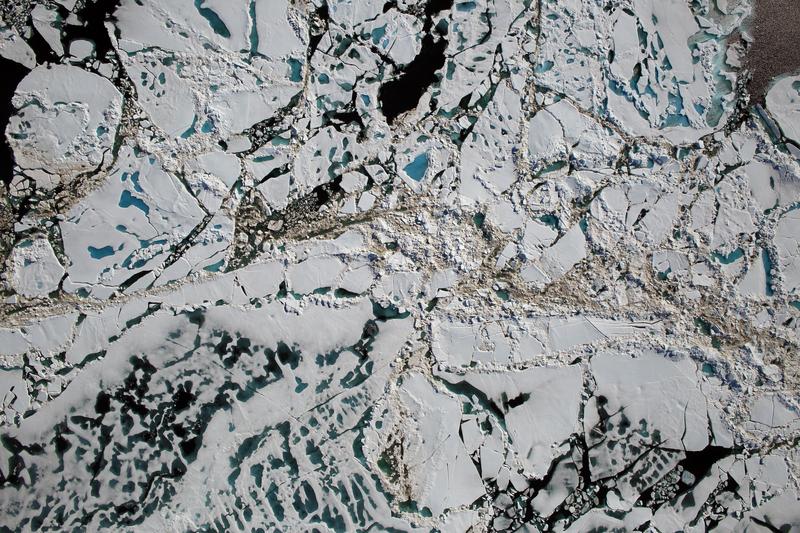 "No one has ever, from a remote sensing standpoint, mapped the large-scale depth of melt ponds on sea ice," said Nathan Kurtz, IceBridge’s project scientist and a sea ice researcher at NASA Goddard. "The information we’ll collect is going to show how much water is retained in melt ponds and what kind of topography is needed on the sea ice to constrain them, which will help improve melt pond models."